Have you ever had any difficulties trying to get your third-party motor insurance? Well, put your worries aside because Leadway Assurance Ltd. and Total Nigeria Plc. 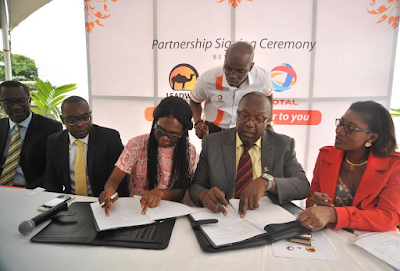 have partnered to bring insurance to you at designated Total Service stations. It is first of its kind in Nigeria. All you need to do is just to drive to any of the designated Total filling stations, get an easy-to-use 3rd Party Motor Vehicle insurance recharge card and you are ready to go. So you can now fill you tank and at the same location, purchase insurance for your vehicle without any hassle. And since Total offers other services such as their Bonjour stores, you can add groceries to the list too. "as an innovation-driven market leader in the Nigerias leading insurance industry, we are constantly seeking ways to make insurance products and services nearer, easily accessible and more convenient for our customers. We have developed our online infrastructure to provide real-time, online access and interaction for our clients. 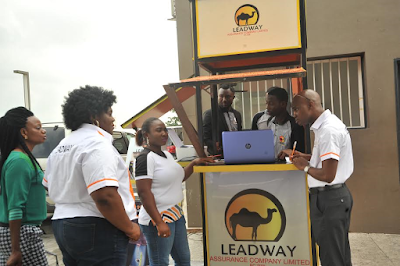 We are proud of the partnership with Leadway Assurance, a dynamic organization, who shares our values of integrity, innovation, and superior service delivery. This is an association of caring brands.